We're Just Talking About It is a podcast focused on the nationwide discussion of Islam. The show is hosted by a Veteran and military spouse. The show aims to answer the questions that host, Jason Howk, has fielded since June 2015 as he traveled across America speaking about Islam. This podcast does not aim to denigrate Islam or to spread a religion. Simply put, this is an effort to get people talking more openly about religion and focused on finding common ground and understanding. Around the world the loudest voices that focus on Islam are usually on the far extremes of the topic...speakers either love or hate Islam. This is a discussion rooted in facts; and by design those facts are relayed to the public in a form that most can understand. This isn't a professor's lecture and it's not a hate filled tirade. This is two people having a rational and casual discussion about religion. Your host Jason Criss Howk is an instructor, public speaker, and author that focuses on Islam and the broader Middle East based on his near twenty year focus on these topics in the Department of Defense. He leads religious dialogue discussions about Islam across the United States to dispel myths and stereotypes and is the award winning author of The Qur’an: A Modern-English Chronological Interpretation. He holds a Masters degree in Middle East and South Asia Security Studies from the Naval Postgraduate School. Jason studied Dari (Afghan Farsi) and Arabic at the Defense Language Institute and is a Malone Fellow in Arab and Islamic Studies. Your co-host and producer is Hollie Fleck. She has a degree in broadcast journalism and spent 5 years as a professional Emmy-award winning television news reporter. She recently started her own videography and production business. 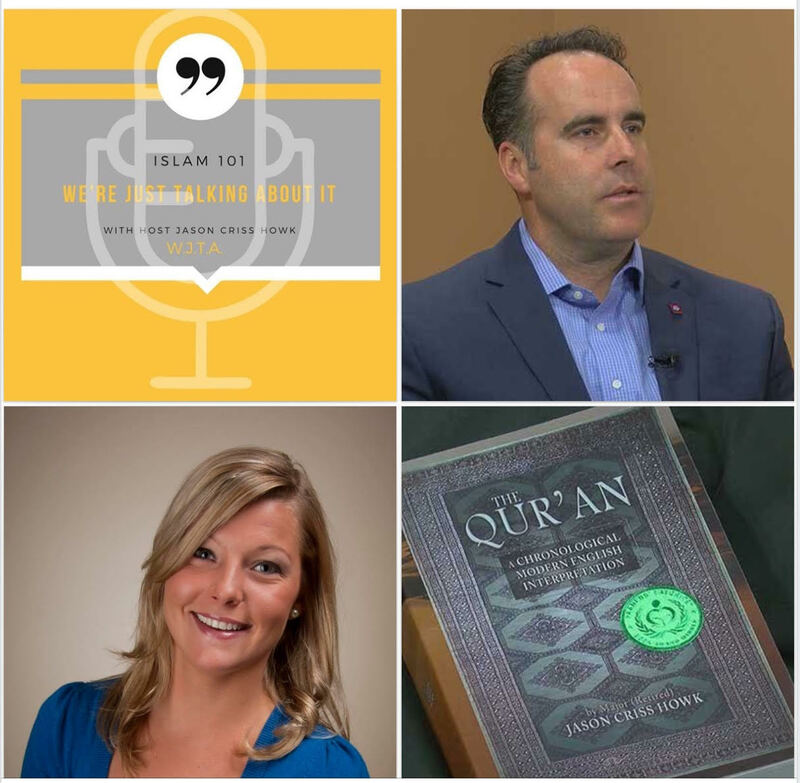 She is curious by nature and after meeting and listening to Jason give his talks on Islam, she knew this podcast would be the perfect opportunity to constantly learn, question and grow.